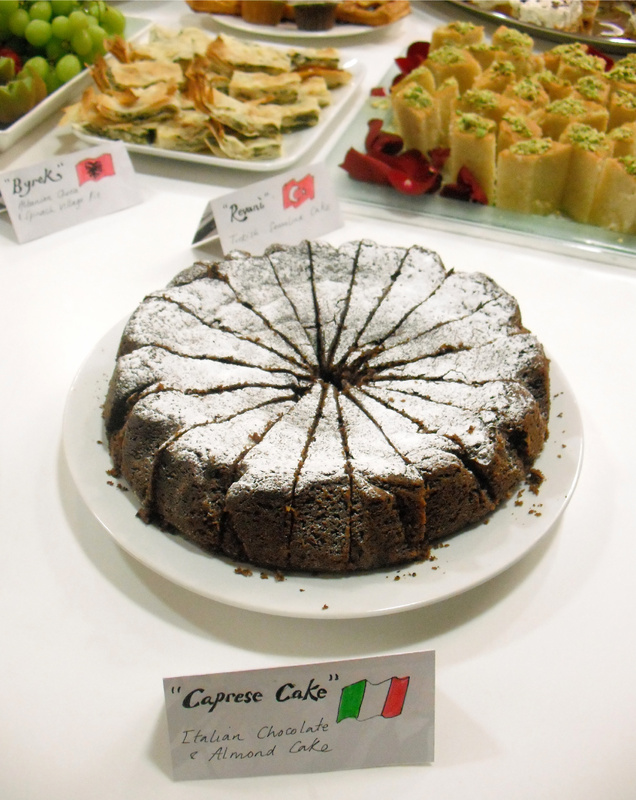 Here is my personal recipe for a Neapolitan Chocolate and Almond cake known locally as ”Caprese’. It’s widely available in any good pasticceria in Southern Italy. My recipe is less labour intensive and makes for a more interesting texture. Caprese is made without flour, resulting in a light and tasty cake with a gorgeously moist centre, perfect for any occasion. 200g dark chocolate – melted. Cream the butter and sugar together in a bowl using a wooden spoon. Once lighter in colour, add eggs, almond essence then melted chocolate a little at a time (making sure its warm and not hot! ), stirring until evenly mixed. Stir in chopped almonds, ground almonds, pinch of salt and sift in cocoa and baking powder. Mix all together then and pour into a greased baking tin. Bake in a preheated oven at 180 degrees C for 35 – 40 minutes, or until sides begin to come away from edges of tin. Leave to cool before dusting heavily with icing sugar. The cake will benefit from a rest overnight.